Both Goizper and Micron will retain their identity, with no significant change in organisation or commercial policies. The new alliance offers advanced spraying equipment for agriculture, horticulture, forestry, garden, industrial, migrant pest and public and animal health applications worldwide – from robust sprayers to help millions of smallholder farmers in the developing countries boost crop yields, and protect their health against malaria and other vector borne diseases, to precision farming and aerial spraying systems for large scale agriculture, as well as covering specialised industrial and garden uses. 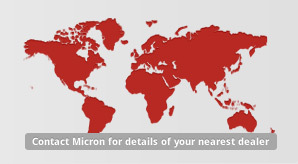 Both Goizper and Micron are dedicated to providing application equipment that ensures efficient and environmentally responsible spraying – evidenced by their longstanding and worldwide customer bases, including long term supply to aid agencies and governments for public health (e.g. malaria) and migrant pest (e.g. locust) control programmes, and many awards.